The media have used a variety of epithets to describe white working-class Trump supporters. Linguist Geoff Nunberg says these terms embody the class contention that is central to this year's election. Wherever you look, this is the year of white working-class males — or, as Donald Trump describes them, "the smart, smart, smart people that don't have the big education." Who are they, and why are they sticking with Trump even as other voters are peeling away? Sociologists talk about the disaffected white underclass. Marxists talk about the lumpenproletariat, or riffraff, which makes "Trumpenproletariat" almost irresistible. But others on both the left and right have used more familiar epithets. A columnist in the New York Daily News calls Trump's supporters "bigots, bumpkins and rednecks." The New York Post calls them the "hillbilly class" and "white trash Americans." Back in 1989, the historian C. Vann Woodward said that "redneck" is the only epithet for an ethnic minority that's still permitted in polite company. He could have said the same thing about "hillbilly" or "white trash." The fact is that Americans don't find class prejudice quite as shameful as racism. College fraternities are thrown off campus when they hold parties with themes like "Crips and Bloods" or "south of the border." But there's no surge of indignation when their members break out their mullet wigs and "wifebeater" shirts for a "white trash bash." Used in a loose way, those labels all call up the same images: the good ol' boys at Trump rallies wearing feed-store caps and Confederate flag T-shirts, or the hapless Kentucky layabouts living on opioids and food stamps that J.D. Vance describes in his best-seller Hillbilly Elegy. To be sure, those aren't actually the typical Trump supporters, who turn out to be a bit more affluent than other non-college whites — not so much the people who live in the trailer courts as the people who own them. Even so, the words embody the long history of class contention that the Trump phenomenon has brought to the surface. Over the years, Americans have probably coined more epithets for poor whites than for any other group, even including blacks. Rednecks and hillbillies, white trash and trailer trash, Okies and Arkies, peckerwoods and pinelanders, crackers and clay eaters, mudsils and ridge-runners and dozens more. Many of those terms are forgotten now, and others were regional — in fact, state nicknames like tarheels, buckeyes and hoosiers began their lives as pejoratives for the local yokels. But that multitude of labels also reflects a basic difference between class and race. Americans have always thought of race as an either-or business, a trait that's passed along in your blood or your genes. But we can define class in any number of ways, which is why we have so many labels for it and why their meanings keep changing. "White trash" is older than any English slur but the N-word, and the two have always gone hand-in-hand. In her recent history of class in America, White Trash, author Nancy Isenberg traces the origins of the phrase to the early 19th century, when genteel Southern whites used it to disparage poor whites, whom they saw as a kind of human waste — ignorant, brutal and lazy. Two centuries later, it still reeks of tackiness and turpitude. It's the most offensive thing you can say about a white person — and also the most vulgar. "Hillbilly" and "redneck" both appeared later in the 19th century. Hillbillies were originally just the poor mountain whites, but to outsiders the word suggested a caricature of slow-witted backwoods ectomorphs with a shotgun and jug of moonshine — either the comic yokels of Al Capp's Li'l Abner and The Beverly Hillbillies or the degenerate predators of the film Deliverance. Rednecks were originally Southern white laborers — their sunburn contrasted with the pallor of the upper classes. But it soon became a label for uncouth working-class racists from any rural region. But all stereotypes are reversible, when the people they're aimed at reclaim and redefine them and throw them back at their original users. 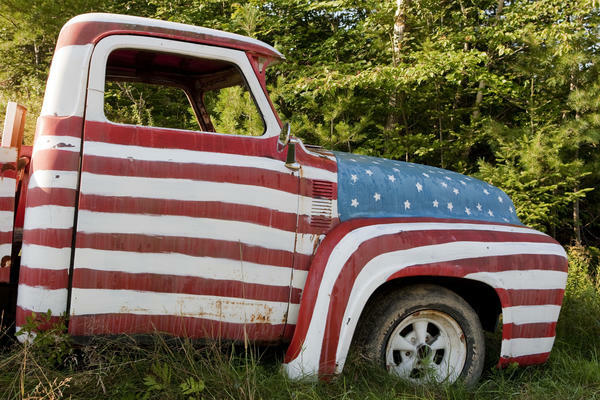 The era of redneck chic began in the 1970s, when the word became a badge of working-class patriotism and authenticity, as contrasted with the PC airs and affectations of the coastal elites. Country playlists were full of songs like Johnny Russell's "Rednecks, White Socks and Blue Ribbon Beer." The other slurs were reclaimed, too. Dwight Yoakam and Steve Earle wrote paeans to the hillbilly, and singers from Toby Keith to Eminem even made "white trash" a positive identification. As the labels became more popular, they also became more socially elastic. Jeff Foxworthy's "you know you're a redneck" jokes allowed New South audiences to laugh at the Old South stereotypes while still claiming the redneck label for themselves. In his 1983 song "Just a Redneck at Heart," Ronnie Milsap explained that wearing a suit and tie to your corporate job didn't disqualify you from being a redneck as long as you kept a copy of Field & Stream in your desk. Nowadays, everybody is eligible — a few years ago, Donald Trump Jr. told an interviewer that his love of fly fishing and bow hunting made him a closet redneck. At that point, redneck isn't a class, it's a lifestyle choice. But whoever is claiming the label, redneck pride is always infused with attitude. When you call yourself a redneck, you're not simply proclaiming your authenticity — you're calling out the scorn and condescension of the people who use the word as a slur. That's why the word always sounds a little belligerent, and why it encapsulates the populist anger and resentment that the Trump campaign has stirred. As the Los Angeles Times' columnist Gregory Rodriguez put it, "You know you're a redneck when you're mad as hell and you just want to spread it around." This is FRESH AIR. Our linguist Geoff Nunberg has been thinking about some of the derogative words that have been used to describe Trump supporters and what those words say about the class conflicts that Trump's campaign has brought to the surface. GEOFF NUNBERG, BYLINE: Wherever you look, this is the year of white working-class males, or as Donald Trump describes them, the smart, smart, smart people that don't have a big education. Who are they, and why are they sticking with Trump, even as other voters are peeling away? Sociologists talk about the disaffected white underclass. Marxists talk about the lumpenproletariat or riffraff, which makes Trumpenproletariat almost irresistible. But others on both the left and right have used more familiar epithets. A columnist in the New York Daily News calls Trump supporters bigots, bumpkins and rednecks. The New York Post calls them the hillbilly class and white trash Americans. Back in 1989, the historian C. Vann Woodward said that redneck is the only epithet for an ethnic minority that's still permitted in polite company. He could have said the same thing about hillbilly or white trash. The fact is that Americans don't find class prejudice quite as shameful as racism. College fraternities are thrown off campus when they hold parties with themes like Crips and Bloods or south of the border. But there's no surge of indignation when their members break out their mullet wigs and wife beater shirts for a white trash bash. Used in a loose way, those labels all call up the same images - the good-ole boys at Trump rallies wearing feed store caps and confederate flag T-shirts or the hapless Kentucky layabouts living on opioids and food stamps that C.D. Vance (ph) describes in his best-seller "Hillbilly Elegy." To be sure, those aren't actually the typical Trump supporters, who turn out to be a bit more affluent than other non-college whites, not so much the people who live in the trailer courts as the people who own them. Even so, the words embody the long history of class contention that the Trump phenomenon has brought to the surface. Over the years, Americans have probably coined more epithets for poor whites than for any other group, even including blacks. Rednecks and hillbillies, white trash and trailer trash, Okies and Arkies, peckerwoods and pinelanders, crackers and clay eaters, mudsills and ridge-runners and dozens more. Many of those terms are forgotten now, and others were only regional. But that multitude of labels also reflects a basic difference between class and race. Americans have always thought of race as an either-or business, a trait that's passed along in blood or genes. But we can define class in any number of ways, which is why we have so many labels for it and why their meanings keep changing. White trash is older than any English slur but the N-word, and the two have always gone hand-in-hand. In her recent book "White Trash: A History Of Class In America," Nancy Isenberg traces the origins of the phrase to the early 19th century, when genteel Southern whites used it to disparage the poor whites whom they saw as a kind of human waste, ignorant, brutal and lazy. Two centuries later, it still reeks of tackiness and turpitude. It's the most offensive thing you can say about a white person and also the most vulgar. Hillbilly and redneck both appeared later in the 19th century. Hillbillies were just the poor mountain whites. But to outsiders, the words suggested a caricature of slow-witted backwoods ectomorphs with a shotgun and a jug of moonshine - either the comic yokels of Al Capps "Li'l Abner And The Beverly Hillbillies" or the degenerate predators of the film "Deliverance." Rednecks were originally the Southern white laborers. Their sunburn contrasted with the pallor of the Southern upper classes. But it soon became a label for uncouth working-class racists from any rural region. But all stereotypes are reversible when the people they're aimed at reclaim and redefine them and throw them back at their original users. The era of redneck chic began in the 1970s, when the word became a badge of working-class patriotism and authenticity, as contrasted with the PC airs and affectations of the coastal elites. Country playlists were full of songs like Johnny Russell's "Rednecks, White Socks And Blue Ribbon Beer." The other slurs were reclaimed, too. Dwight Yoakam and Steve Earle wrote paeans to the hillbilly. And singers from Toby Keith to Eminem even made white trash a positive identification. As the labels became more popular, they also became more socially elastic. Jeff Foxworthy's you know you're a redneck jokes allowed New South audiences to laugh at the Old South stereotypes while still claiming the redneck label for themselves. In his 1983 song "Redneck At Heart," Ronnie Milsap explained that wearing a suit and tie to your corporate job didn't disqualify you from being a redneck as long as you kept a copy of Field & Stream in your desk. Nowadays, everybody's eligible. A few years ago, Donald Trump, Jr. told an interviewer that his love of fly fishing and bowhunting made him a closet redneck. At that point, redneck isn't a class. It's a lifestyle choice. But whoever's claiming the label, redneck pride is always infused with attitude. When you call yourself a redneck, you're not simply proclaiming your authenticity. You're calling out the scorn and condescension of the people who use the word as a slur. That's why the word always sounds a little belligerent and why it encapsulates the populist anger and resentment that the Trump campaign has stirred. As the Los Angeles Times columnist Gregory Rodriguez put it, you know you're a redneck when you're mad as hell and you just want to spread it around. GROSS: Geoff Nunberg is a linguist who teaches at the University of California, Berkeley School of Information. Tomorrow on FRESH AIR, a Jewish homeland with few Jews. In 1929, the Soviet government set aside a remote area, designating it an autonomous Jewish region. It turned into an absurd and tragic story. My guest will be Russian-American journalist Masha Gessen, author of the new book "Where The Jews Aren't." We'll also talk about Putin and Trump. One of her earlier books is about Putin. I hope you'll join us. I'm Terry Gross. Transcript provided by NPR, Copyright NPR.